This is a sponsored post for Barefoot Refresh®, but all thoughts, opinions and stories of a night filled with great conversations with girlfriends are all my own! For the first time since moving to the new house in the beginning of July, it feels like life is finally starting to settle back down again. For months, our weekends were revolving around packing, moving, unpacking and building boxes upon boxes of new furniture, dressers, beds and tables. Until this past weekend, we hadn't really gotten a weekend to enjoy our new neighborhood, and our new neighbors! Two of our best friends each bought houses just down the street from us, so I went over to have a girl's night at my friend Larissa's house. 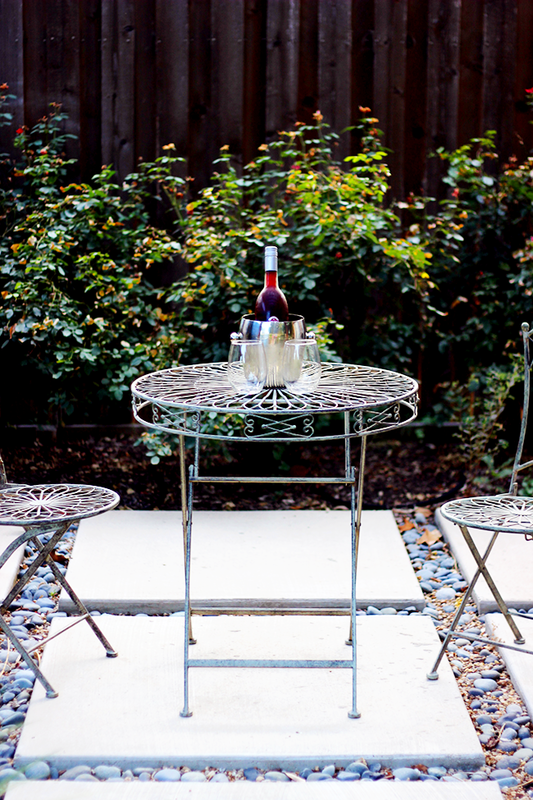 Her backyard is absolutely beautiful, so we decided to enjoy the last few days of summer (a.k.a the end of 100 degree temperatures) by kicking back, pouring a refreshing drink and relaxing under her patio's gazebo. 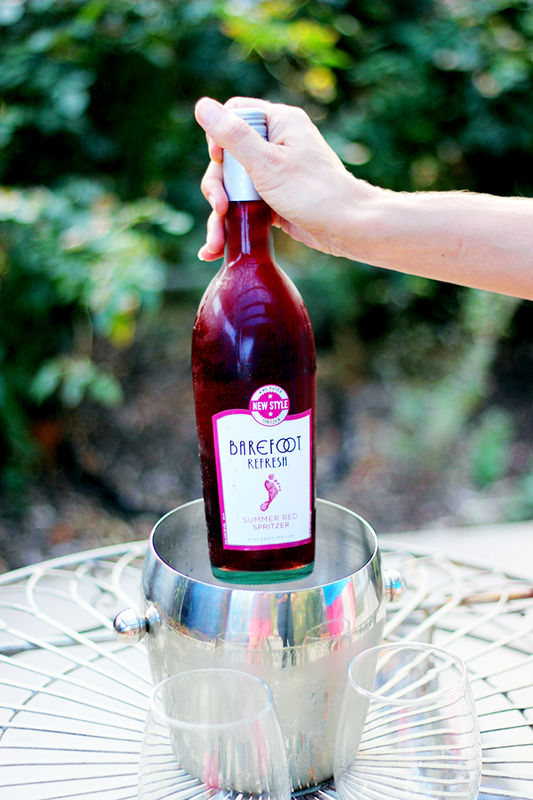 I brought over what turned out to be the perfect drink for the sticky but breezy August night, Barefoot Refresh® Summer Red Spritzer. 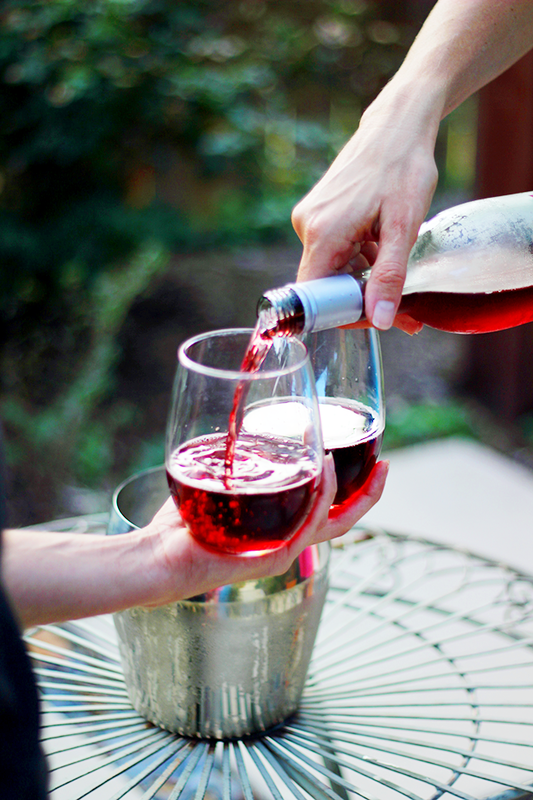 It is a light bodied, but very vibrant spritzer that anyone would love! I used to think watching hair straightener infomercials was the most therapeutic thing in this world, but I'm quickly realizing as I get older that making time for friendships is the most therapeutic thing in this world. Maybe I'm just bias and trying to make up for lost time in Dallas! I love the way CB approaches his friendships, he not only cherishes the friends he has, but actively tells them how much they mean to him. He now has so many friends that are 15+ years long. I'm lucky to have found him and his friends, that have now ultimately become my friends, here in Dallas. We stayed over until nearly 10pm, sitting and talking about everything under the sun. We talked about everything from our pups, to football, to working out the details for the trips we have planned throughout the rest of the year, like our camping trip to Arizona in October. I unfortunately still owe CB for that bet I lost. Meh. It was just one of those genuinely amazing evenings, that makes you realize just how happy you are to have the life that you do. 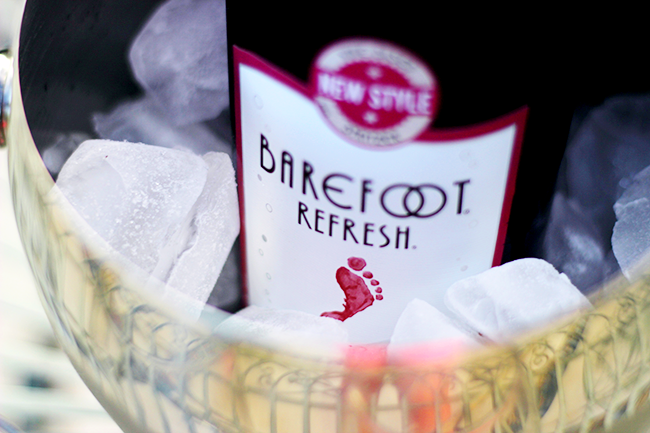 We all enjoyed a little Barefoot Refresh®, perfect on a clear, breezy August night like this one. 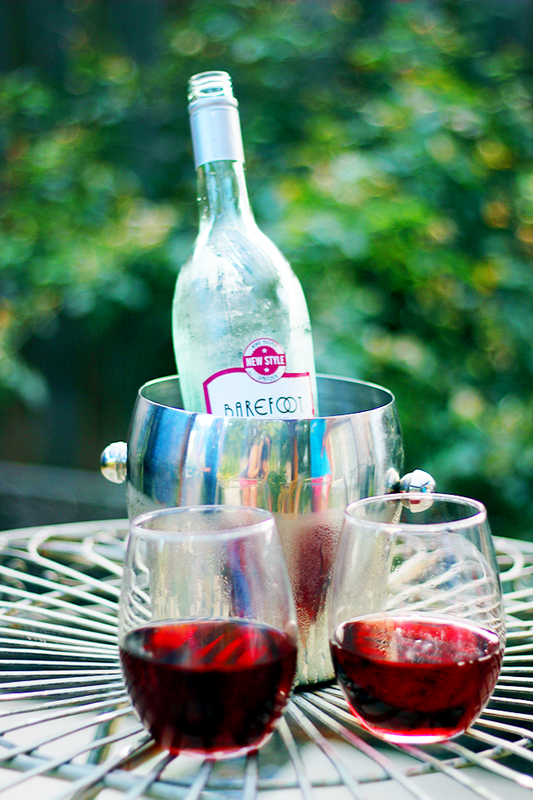 As summer comes to a close, Barefoot's line of spritzers is a great go-to drink for everything from a casual night with a girlfriend, to a backyard Labor Day bash! 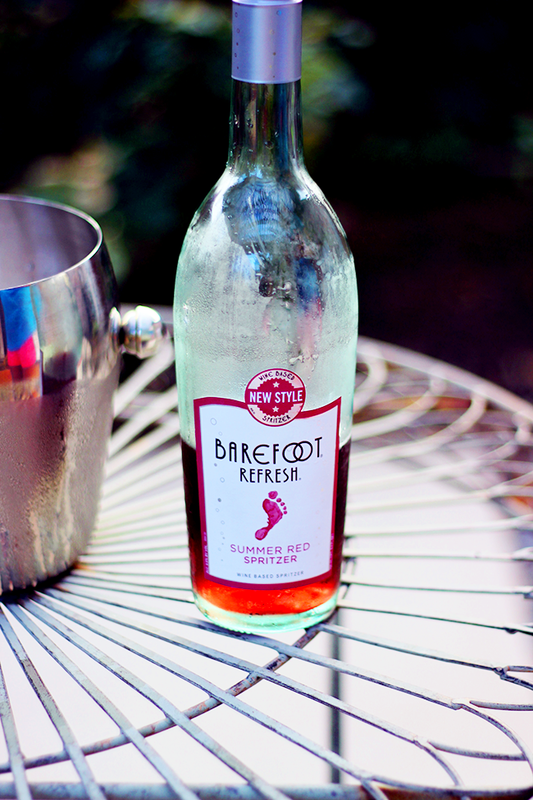 Barefoot Refresh® comes in five refreshing blends: Crisp Red Spritzer, Crisp White Spritzer, Sweet White Spritzer, Summer Red Spritzer and Perfectly Pink Spritzer. These vibrant spritzers retail for approximately $7 for a 750ml bottle! I highly recommend taking time out this week to invite yourself over to your girlfriend's house, and arriving with a bottle (or two) in hand to enjoy. 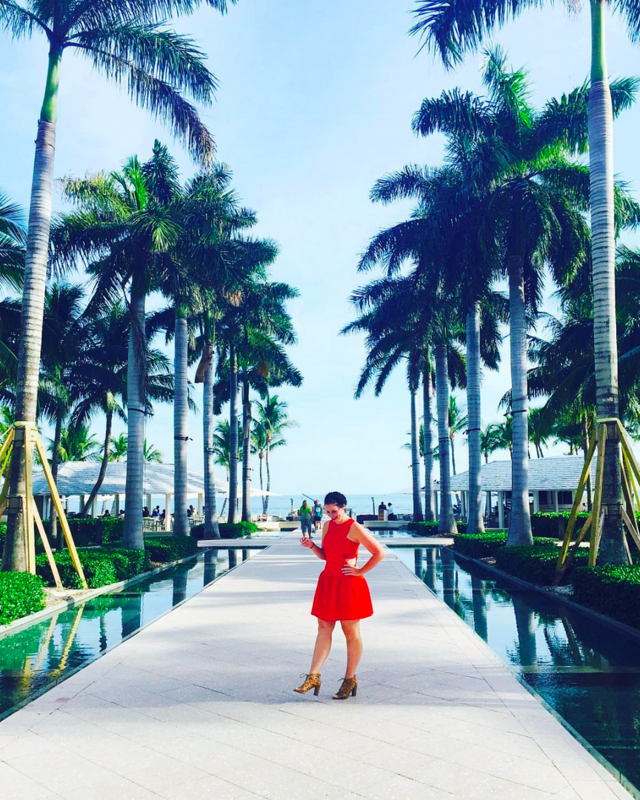 Making time for best friends is just plain good for the soul! 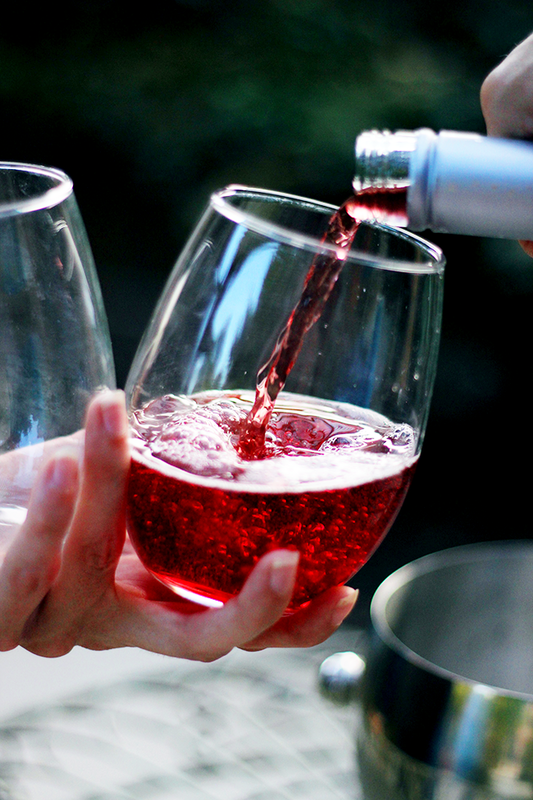 Sounds like you had the perfect elements for a memory-making night with friends. mmmmhhmm this looks delicious! i need to pick up a bottle! Yum! Those sound great! And you evening sounds wonderful. There's nothing like a night full of friends. My sister bought me a bottle as a house warming present. It was good. This looks so good! 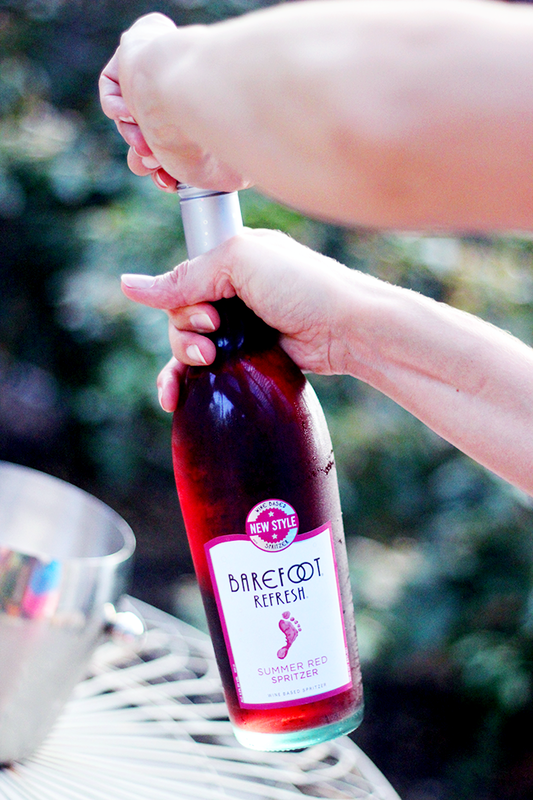 Love me some Barefoot wine! I'll have to try this one! My go-to liquor store just had this on special for $2.50 a bottle. I bought 4. It's quite refreshing on these hot summer days! I love Barefoot and am anxiously awaiting being able to pop open the 2 bottles I've had in my kitchen for 9 months now. Hallelujah it's finally baby month!! I'll have to try this new spritzer too. It sounds really refreshing. Time with good girlfriends is so valuable. Pretty much all of mine have moved away to various parts of the country. I replaced them with a boyfriend instead of other girl friends, which is way better, but definitely not the same.